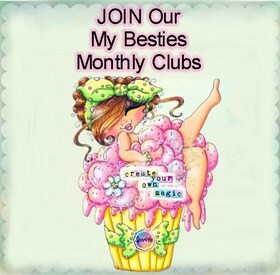 JOIN Our NEW VIP Digi STAMPS OF THE MONTH CLUB~ Click on the image below to JOIN~SAVE & Get Lots of EXTRAS at a HUGE SAVINGS! VIP CLUBS & Start SAVING Today! From The "You Drive Me Batty NEW Coloring Book! We want to Thank you for Shopping with Us! We are so Happy You Chose My Besties!